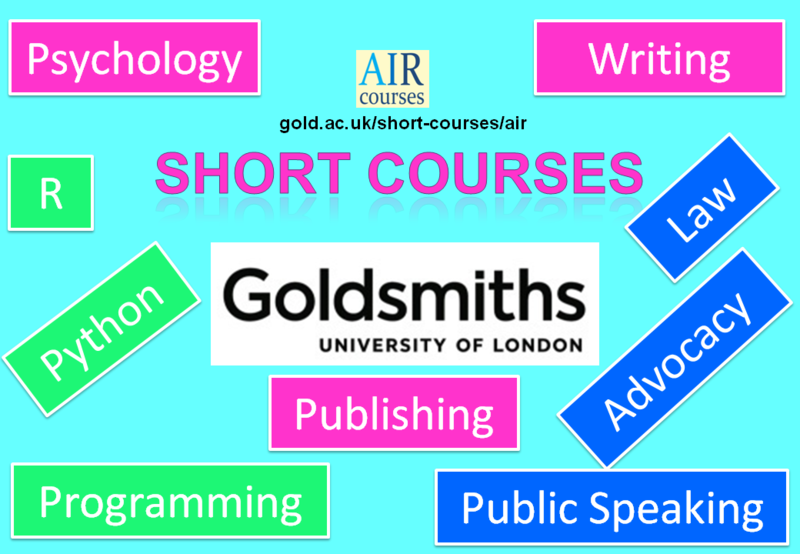 A range of short courses, including two-week, one-week, 3-day and 1-day courses. Interdisciplinary: Most courses include essential elements from other disciplines, e.g. Advocacy is completed with cutting edge knowledge in Psychology, essential to every advocate. Interactive: To ensure maximum benefits for you, we have designed these courses to allow for interaction from all participants, including by limiting the number of students per class. Tailored to each student’s needs: Individual students’ needs and interests are, where possible, accommodated, e.g. students are provided with materials and support as to their needs and interests. Taught by leading experts: Courses are organised and taught by leading experts with practice and teaching experience internationally. Please browse through the list below of all our 1-day or 2-evenings, 5-day and 2-week courses. Tailor-made individualised courses are also available, contact us for further information. From negotiations to dispute resolution – enriched with insights from behavioural sciences. This course has two main unique features: first, it combines key areas of international commercial law, making it a self-contained course for international business transactions; and second, it is enriched with psychological insights into legal practice. The course is designed to provide a good understanding of international commercial transactions in practice, as well as to equip you with key skills required to manage these transactions. It includes a significant amount of practical exercise, and focuses on: – International Commercial Litigation, including Conflict of Laws/Private International Law; – English commercial courts’ reasoning; – International Commercial Arbitration; – Negotiations and Contracts; – Key legal systems and organisations influencing international business law (UK & US Legal Systems, UNCITRAL, Commercial Finance Association etc. ); – International Commercial Finance: Cross-border Asset-Based Lending; – Organisational Psychology: Individuals, Groups and Cultures. Read more and register…. A Saturday oral Advocacy (courtroom / moot court) course and a two-day public speaking course – that can also be taken separately. Maximum 10 people per class, with ample opportunity for individualised training and feedback on practical exercises. This course is designed and taught by barristers and psychologists with extensive public speaking experience and expertise, and who are passionate about public speaking. In just 1 day of intensive training, you will improve your oral advocacy performance skills; and in just 3 days you will improve your advocacy and public speaking skills. You will also learn how to deal with nerves and anxiety, and how to enjoy public speaking. Due to tutors’ experience and expertise in psychology and human development, significant success is also expected in removing fear, nervousness and tailoring long-term self-development for natural presentation. Read more and register…. Learn to write well, publish in leading journals, and deliver powerful public presentations. This course is taught by international renowned academics, with extensive experience of publishing, reviewing and editing for top journals and presenting to diverse audiences. As science is becoming truly international, researchers are faced with the challenge of publishing in established international journals. Developing a strong publication and citation track-record and effective presentational skills are major challenges for all scientists. A 1-week intensive course. Number of students is limited to 10 per class with ample opportunity for individualised training and feedback on practical exercises. This course is designed by barristers and psychologists with extensive public speaking experience and expertise, and who are passionate about public speaking. You will be taught by highly skilled experts with extensive public speaking experience in a wide range of contexts, including to specialised and general audiences, in international conferences, public engagement, training and professional development, and politics. We live in the genomic era, and knowledge is power and key to advancement. A combination of science, law and ethics – learn how genetic findings affect you and society. If you are involved in the analysis and management of data, you will soon encounter the need to manipulate and shape your data, automate processes or write bespoke programs. Due to its versatility and gradual learning curve, Python has quickly risen to be one of the languages of choice for introductory courses in programming. Moreover, through the use of excellent numerical packages it can compete against more statistical and mathematical packages such as Matlab and R. Read more and register…. Learn how to process and analyse data using many of R’s powerful functions, install packages for additional functionality and produce high quality graphics for use in publications. This course offers an intensive, hands-on introduction to the R statistical computing environment, focusing on practical aspects of data analysis. The programme is designed to give you as much practical experience as possible. The course will cover the following key aspects of using R: – Data analysis, reading in data, data exploration and filtering; – Vectors, arithmetic, recycling; – Graphics and advanced graphics; – Analysis workflow; – Making your own functions; – Linear modelling; – Object-orientated programming; – Principal component analysis. Read more and register…. This interdisciplinary programme provides training in both the basic scientific and technological principles of modern research methods, and in their application to understanding and improving human development. Students will develop a foundational knowledge of all aspects of human development, including biological foundations of individual differences, gene-environment processes, brain mechanisms, cognitive and other psychological processes. Students will acquire the principles and main aspects of data acquisition and analyses, and gain a good working knowledge of modern methods for scientific investigation of human development. The design of the course aims to maximise students’ transferable skills, including the training in publishing in leading academic journals, presenting at international conferences, and translating research to practice. Our international research partners from world leading universities include: King’s College London; Goldsmiths, University of London; University of Sussex, Ohio State University, Laval University, Moscow State University and other. Together with our partners, we promote research that is of direct relevance for clinical, educational, training and other types of practice – towards improving human development. With leading reputation, excellent infrastructure and extensive international links, TSU is a great place to be a student. Students on this programme are immersed in a world-class international interdisciplinary scientific environment, taught by leading experts in the fields. The programme is relevant for educationalists, clinicians and policymakers – equipping them with sound understanding of cutting edge knowledge about human development. The programme is also relevant for researchers – equipping them with theoretical understanding and methodology for interdisciplinary research into human development. Students will benefit from active research environment and excellent infrastructure.